NEW YORK, N.Y. and BURBANK, Calif. – February 9, 2016 – iHeartMedia and Turner announced today the finalists for the 2016 iHeartRadio Music Awards on Sunday, April 3 at the historic Forum in Los Angeles. The event will be televised live on TBS, TNT and truTV at 8 p.m. ET/5 p.m. PT and will be simulcast on iHeartMedia stations nationwide, as well as on the iHeartRadio digital music platform. For the third straight year, the iHeartRadio Music Awards will celebrate the amazing music that was heard throughout the year across iHeartMedia radio stations nationwide and on iHeartRadio. The 2016 telecast will feature today’s biggest artists and songs with live performances including first released performers Justin Bieber and Meghan Trainor, first-time duets and collaborations, celebrity guest appearances, live award presentations, and an exclusive can’t-miss performance by a soon-to-be-named artist that will be simulcast from the Capital One JamFest, which is part of the March Madness Music Festival taking place in Houston, TX. This is the first year for the Turner networks to simulcast the event, which is scheduled to take place the night between the NCAA Final Four National Semifinals and the NCAA National Championship on TBS. 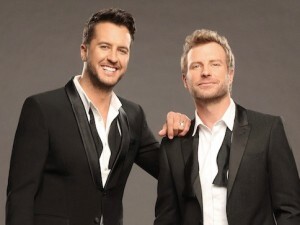 This year, the iHeartRadio Music Awards will feature 31 categories, including new awards for “Best Tour,” “Best Duo/Group of the Year” and “Latin Song of the Year,” as well as individual awards for “Artist of the Year” in music’s biggest genres. Taylor Swift leads nominees with eight nominations and will vie for the first “Female Artist of the Year” award, while The Weeknd received seven nominations, including in the inaugural “Male Artist of the Year” category. Swift and the Weeknd will go head-to-head in the coveted “Song of the Year” and first-ever “Album of the Year” categories. Other artists who have received multiple nominations include Adele, Drake, Justin Bieber, Ed Sheeran, Luke Bryan and Sam Smith. All nominations are listed below. 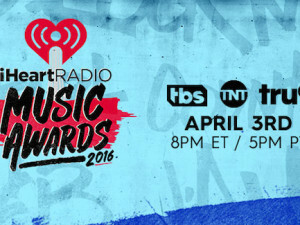 In addition to being a compelling celebration of music and artists, the 2016 iHeartRadio Music Awards will celebrate the fans, giving them once-in-lifetime access to their favorite artists and an up-close-and-personal view of the event like never before. Fan voting will determine this year’s “Best Fan Army presented by Taco Bell,” “Best Lyrics,” “Best Collaboration” and the first-ever “Best Cover Song,” “Best Song from a Movie,” and “Most Meme-Able Moment” awards. Voting will begin through iHeartMedia’s social media partner Telescope on February 9 and extend through March 25, with the “Best Fan Army presented by Taco Bell” and “Most Meme-Able Moment” voting continuing through the evening of the awards on April 3. Fans can vote by visiting iheartradio.com/awards. For the first time ever, tickets to the iHeartRadio Music Awards are going on-sale to the general public. As a signature sponsor of the Awards Show, Capital One cardholders will have the opportunity to purchase them first. The exclusive Capital One Cardholder Pre-sale starts February 10 at 10 a.m. PST and runs through February 12 at 10 a.m. PST, or until tickets sell out. Capital One cardholders can visit www.iheartradio.com/capitalone for the opportunity to purchase tickets using their Capital One card. 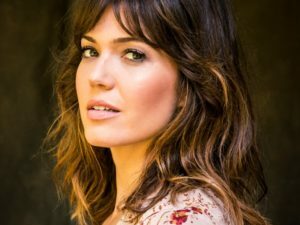 Tickets go on sale to the general public starting February 13 at 10 a.m. PST, and will be available at iheartradio.com/awardstickets. The 2015 iHeartRadio Music Awards was the No. 1 rated show on the broadcast networks among adults 18-49 and captured the attention of Twitter users worldwide, securing the No. 7 spot on Twitter’s Top Music Trending List of 2015 with #iHeartAwards. The event generated more than 14 billion social media impressions throughout the promotional period of the show, nearly 75 percent more than the 2014 iHeartRadio Music Award’s 8.5 billion and almost triple that of the Academy Awards. The iHeartRadio Music Awards was also one of the first ever to engage fans through live behind-the-scenes Twitter Periscope broadcasts. Among last year’s winners were Sam Smith for Best New Artist, Jason Aldean’s “Burnin’ It Down” for Country Song of the Year and Taylor Swift, last year’s top vote-getter, with awards for Artist of the Year, Song of the Year and Best Lyrics. Additional categories include the iHeartRadio most thumbed up artist and song of the year in 2015. The awards are produced by iHeartMedia and Den of Thieves. Executive Producers for iHeartMedia are John Sykes, Tom Poleman and Lee Rolontz. Den of Thieves Executive Producers are Evan Prager and Chris Choun with Co-Executive Producers Barb Bialkowski and Baz Halpin. For breaking news and exclusive iHeartRadio Music Awards content visit iHeartRadio.com/awards or follow the social buzz on Twitter, Facebook, Instagram and Google+.